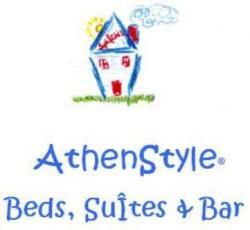 AthenStyle turns 10 years old and we are celebrating with the party of the year! 10 years ago, when Athenians did not even know what a Hostel was and travelers with large backpacks were getting weird looks, AthenStyle was founded in Monastiraki. It came to rock the boat of the local hotels and it immediately became the melting pot in the historic center of Athens of the lucky travelers that happened to pass by our city for a few days and exchange stories with others. The AthenStyle Rooftop Bar quickly became the alternative choice for those who enjoy unlimited view and a relaxed, pleasant ambience. 10 years of AthenStyle, 10 years of travels, 10 years of Rooftop Bar, 10 years of unforgettable memories that have changed Athenians‘ opinions on Hostels: truly unique moments. Such a unique moment awaits us on Friday 1st June 2018. Come celebrate with us from the sunset on our Rooftop to our live show at the BAR NEXT DOOR on the ground floor with Appalachian Cobra Worshippers and DJ RPM Cartel. RSVP to our event by emailing your name, company and number of people to info@AthenStyle.com until 30/05/18.